April 8 - 30 Law Enforcement across the state will be stepping up enforcement to bring awareness to the issue of how dangerous it is to drive distracted. Using your cell phone isn't the only distraction while driving. Be aware of all the ways that you as a driver get distracted while driving and make a plan for how you will eliminate them. Your live and the lives of others are at risk. We are losing our future everyday on our highways. Our future leaders, our teens are being killed or injured in a higher ratio than any other age group based on miles driven. Some are causing their own death and injury through unsafe driving behavior and just plain immaturity and inexperience. Others are the innocent victims of another driver’s bad choices or criminal behavior. These are a few stories of teens whose lives ended or were forever changed before they really got a chance to start to reach their potential. Minnesotans for Safe Driving provides Victim Impact Panels in six different counties and have panels for non- English speaking people in Spanish, Hmong and Russian. For non english speaking offenders, Minnesotans for Safe Driving have available Victim Impact panels for Hispanic, Hmong and Russian speaking people. Please call ahead to register for the first available panel 952-221-7393 and to get more information. There is a $25.00 cash fee due for each person court ordered to attend. There is NO CHARGE for any concerned person who accompanies the referred person. The $25.00 cash fee is due the night of the panel and will be collected upon admission. Credit cards are not accepted. Checks not accepted. Cell phones and pagers must not be used during the panel time. If you have questions please do not hesitate to contact Minnesotans For Safe Driving: 952 221-7393. Rescheduling: There will be a $25.00 additional fee for those who do not attend their first registered session. Any cancelation or rescheduling must be done at least 24 hours in advance. Alcohol or illicit drug use prior to attendance is prohibited. You will be asked to leave if chemical use is suspected and no credit will be given for attendance that night. If you are ordered to attend an impact panel you are welcome to go to any of the panels we offer but you must register in advance at the panel you wish to attend. Cell phone and pager use during the panel is prohibited. the public to the dangers of Drunk Driving and Distractive Driving. We are available 24 hours a day, seven days a week to help victims of traffic crashes involving unsafe driving behavior. Advocates attend court proceedings at a victim's request. We assist victims step by step during court proceedings and after if requested. As an organization, we are striving to change behaviors through education. Death Notification/ sensitivity training free of charge to law enforcement, medical personnel and any group upon request. Victim Impact Panels to educate the offenders and the public about the consequences of their behavior. Panelists are victims, offenders, law enforcement and medical personnel. These speakers do impress upon the offenders the outcome of such irresponsible behavior. Impactful DVD’s of victims and offenders talking about the crash that changed their lives. We monitor court cases relating to public safety on Minnesota roadways. We work to change and improve laws to make our roads safer. 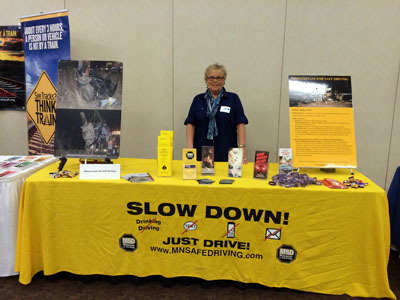 Minnesotans For Safe Driving want to change the mindset in Minnesota regarding non-alcohol related crashes caused by speeding, aggressive driving, and inattentive and distracted driving. These crashes should not be referred to as “ACCIDENTS” they should be considered “CRASHES” that were caused by failure to obey the traffic laws, and follow due care when driving; not an unforeseen event which is the definition of an accident. Minnesota has come a long way on reducing the incidence of drunk driving, but the battle is not over until we have reached zero deaths. With the help of technology, advocacy groups, the government and the public this goal CAN happen. REMEMBER, THE MOST LIKELY SITUATION TO ENDANGER YOUR LIFE IS DRIVING ON THE ROADS AND HIGHWAYS YOU FREQUENT DAILY. 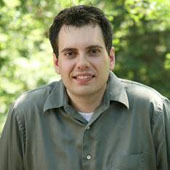 Steven Kallenbeck was co-owner of Aurora Productions. He was one of the kindest individuals and a talented producer. Our organization with Steven's assistance has positively touched thousands of lives through our driving impact DVDs. 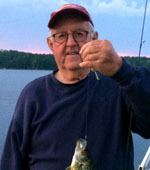 Gary Williams was a caring and bright drug and alcohol evaluator. He was a very special friend to anyone working in or with the treatment community. He taught the members of our organization about the disease of addiction and made us better able to understand those battling this addiction. Nancy Johnson, MSD volunteer, at our booth. Have you been involved in a crash caused by another, or just shake your head in disdain or dismay at the bad driving behavior you see everyday on our roads? Don't just complain, do something about it. 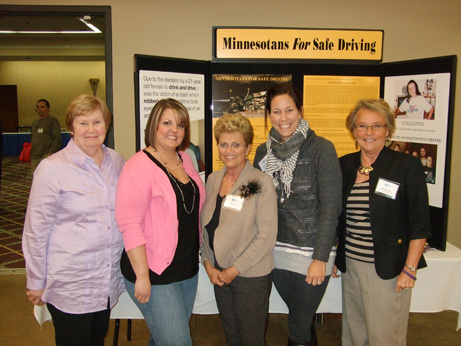 Join Minnesotans For Safe Driving as a volunteer and/or a financial donor. 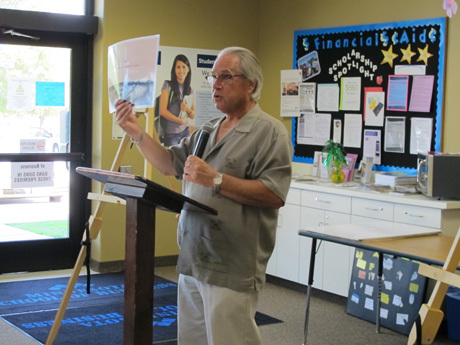 Numbers make a difference and money allows us to present more programs and materials. 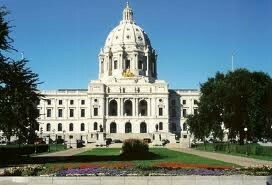 her Senate Bill "The Improving Driver Safety Act"
MFSD needs volunteers in outstate Minnesota - we will train you! 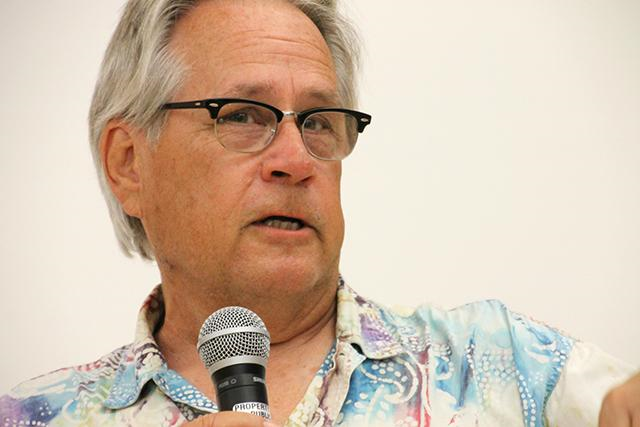 Jon Cummings has delivered the talk about his son Phillip (and the drunk driver who killed him) more than 2,800 times over the past 18 years — for various Minnesota county jurisdictions, schools, churches, prisons, and driver’s-ed classes. You’d think his story would by now have become rote or routinized. But even after all these years it reverberates with heartbreaking authenticity. It was no different on Saturday at Eisenhower Community Center in Hopkins, when Cummings addressed about 50 first-time DWI offenders during a Hennepin County court-ordered daylong seminar on addiction, treatment, alcohol’s effects on the brain, managing stress and strategies to avoid reoffending. He doesn’t talk about Phillip right away; that comes at about the halfway point of his hourlong presentation. Never in a million years would I have thought that I would become an advocate for safe driving. That is not until June 8, 2007. 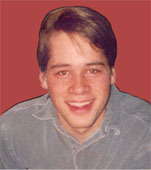 My brother was killed in a motorcycle crash. in which it was determined that he was over the legal limit to be driving after drinking alcohol. That day has changed the way I see things on our roads forever. I have spent the last 8 years speaking to folks about my brother's crash and the impact it has had on our family. I feel that it is important to show the other side of tragedy - the side that is left to pick up the pieces after a loved one has been killed in a preventable crash. Simply put, I do not want another family to have to go through what my family has gone through. 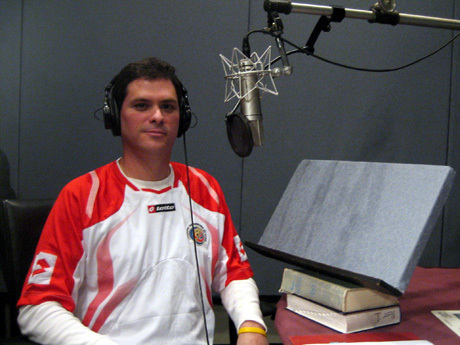 By advocating for safer roads, it gives me an opportunity to speak about making better choices. 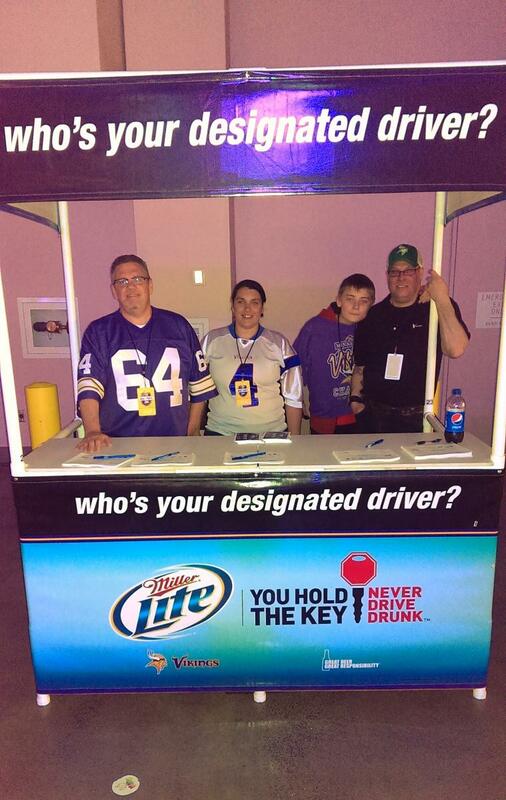 Why we started Minnesotans for Safe Driving? 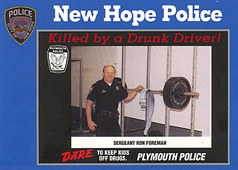 A short time after his death, we became involved in the drunk driving issue with a national non-profit organization, dedicating our lives in seeking ways to make changes in the law and attitudes of the driving public. But after a few years, it became very clear to us that drunk driving is not the only cause of the senseless carnage happening on our highways – aggressive and inattentive drivers are killing more people than drunk drivers. Unfortunately there’s been little advocacy to help these victims through the courts or to fight for changes in the law at the Legislature. 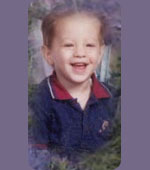 The lives of their sons and daughters, mothers and fathers were as senselessly taken, as was our son’s life. 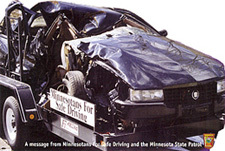 Therefore in February 2000, Minnesotans For Safe Driving was created to fill that known void and to expand our mission to serve as advocates for ALL VICTIMS OF TRAFFIC CRASHES, be they the results of drunk driving, speeding, aggressive or inattentive driving. Our mission is two-fold; to stop the senseless carnage on our highways and to help all victims of all traffic crashes. Forming Minnesotans For Safe Driving has given many talented people a means to continue their dedication to this mission. We hope that you will support us in this expanded endeavor. 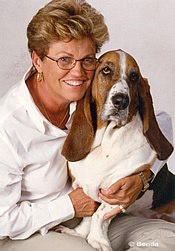 I have spent the last 26 years of my life working on the issue of drunk driving. Initially, I am always asked, “Are you a victim?” My answer is no. The next question is “Why do you do this then?” I decided this is a good time to answer these questions and also add a few comments. Back in the 70’s (It seems like only yesterday), I worked in California at the Alameda County Juvenile Court / Detention Facility. 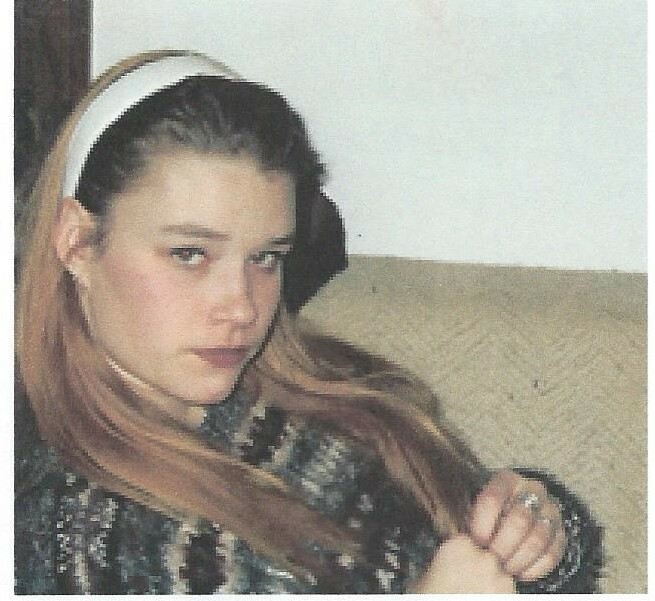 A friend, who at the time was a Probation Officer, was hit and injured seriously by a drunk driver. My friend lost one arm and one leg, which of course changed his life forever. The drunk driver on the other hand was fined $300. That was it. I have always thought of that as $150 for each limb. Isn't that horrible. For years that incident would slip in and out of my mind. After moving to Minnesota there came a time in my life when I had time to volunteer. I worked with a couple charities and one day decided maybe I could help make a difference regarding the crime of drunk driving. That was almost 30 years ago. Becoming an advocate for victims of drunk driving was definitely my calling. I wish things would have been different in the 70’s, but I have learned to never look back. I know we have made amazing changes these past 30 years, but I know in my heart there is still a long way to go. I will never forget the call I received from the mother of a repeat drunk driving offender. She told me she had no other place to turn and wanted to get some advice for her son regarding turning himself into the authorities. She believed if her son turned himself in he would be “nailed”. That the system would not listen to what he is doing with his life now. That was the call, which made me understand the life of an alcoholic a bit more and the love of family members. I have been blessed. I now feel I understand some of the frustrations of the victim, but also the need for an offender to have someone believe in them. I feel like I have received a Masters Degree on the topic of drunk driving. It’s an education I have received from others, sometimes horrifying, sometimes sad, and always informative. I am the lucky one; my family has never been through the pains of having a family member hit or killed by a drunk driver. As a mom, wife and citizen I feel it is not only my job, but everyone’s obligation to use our highways responsibly. It is our duty to do all we can to make this a safer world for our children and grandchildren. Now with Minnesotans For Safe Driving I have the ability to pursue my calling and assist victims – ALL victims of traffic crashes. 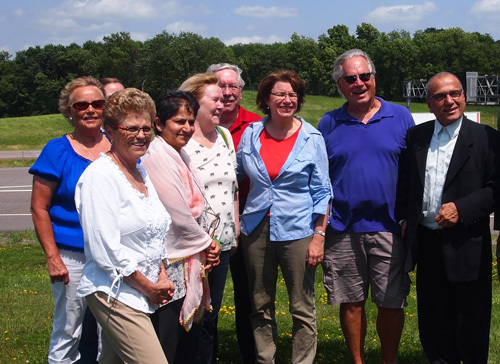 I would like to thank the founders of Minnesotans For Safe Driving, Jon and Geri Cummings for giving these victims a place to turn for assistance. I am proud of all that we have accomplished over the last three years. It still amazes me that in such a short time we have achieved so much. We will never give up the fight against drunk driving, but society has changed and we are embroiled in a war on our roadways. There are too many victims of not only drunk driving, but also speeding, road rage, and other irresponsible driving behavior. These victims now have some place to ask for help. This could not have happened without all of our generous volunteers and donators. So a special thank you to all of you. A majority of the funds raised, we are proud to say, have been spent on community services and projects. In fact, 80% goes back into the community for education of offenders and the public, special projects and victims’ assistance. This is remarkable. This is ONLY possible because of our dedicated volunteers and our wonderful supporters. A Big Thank You to everyone! 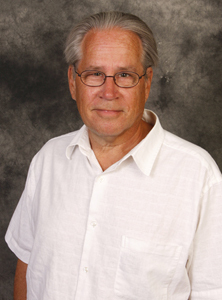 and Bob Milner for making this program successful!!! 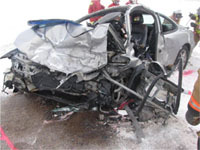 Minnesotans For Safe Driving has a crash car program designed to enlighten the public. 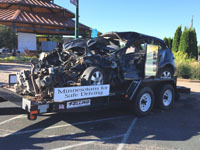 Displaying an actual crash car has proven very effective when used as an added visual to a driving awareness program. It shows your students, employees, customers, or organization a firsthand visual caused by irresponsible driving behavior which may be the result of impaired, distracted, aggressive or speed. Cars are available for Schools, Drivers training, Fire and Police demonstrations, Malls, Corporations, Community Events and Parades when appropriate. There is a reasonable charge for transporting crash cars to your site that varies based on the destination and qualified carrier. The preferred method for invoicing is by means of a fax or scanned transmission. Cars will be placed on the site requested. Be sure to choose a location that will provide the greatest visual attraction. Cars have posters and storyboards to display scenes from a life and crash. Whenever possible identify to us your planned agenda for the car display and if time and availability permits, volunteers may be available to speak. 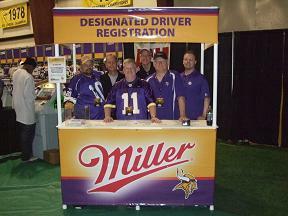 To request a crash car for your event please contact our office at 952-238-0970 or you may contact Bob Milner at 612-724-4296. Click here for the story behind this car. The 2019 Legislative Session started in January with a Republican Senate and a Democratic House. That should make for an interesting session. Strange as it is, Minnesota is the only state in the nation to have a split legislature this year. Traffic safety is usually not partisan though. This year the author of the Hands-Free bill is a Republican, Sen. Scott Newman (SF91) and in the House the author is Rep. Frank Hornstein (HF50), a Democrat. We, traffic safety advocates, see this bill as a “no brainer”, but in the legislature, no bill passes easily. It does seem as though 2019 will be the year that the distracted driving issue is front and center. 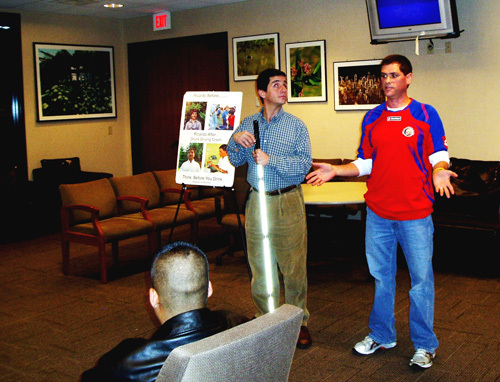 Groups such as ours have been working on the distracted driving issue since early 2000. After the information below on the Hands-free bill are a list of other traffic safety bills that have been introduced this year. Distracted driving is causing as many if not more crashes than drunk diving. Using the cell phone while driving causes a majority of these crashes. Getting the cell phone out of the hands of all drivers is an important first step in saving lives. There is a law against texting and driving but that is very hard to enforce so long as it is legal to hold the phone. It is hard to believe that drivers actually take selfies, watch YouTube, browse the internet and send text messages all while driving the speed limit or above. No one can do that safely. Always say to yourself, is using my cell phone worth a life? Can I use my cell phone while driving? Yes, in a voice-activated or other hands-free mode. Can I use my GPS? Yes, so long as it is set up before driving and the driver’s hands are not making changes while driving. Pull over for that. Can I use my phone as a GPS? Yes, but only in a voice-activated or other hands-free mode while driving or part of traffic. Does this bill change the penalties? No. The current fines of $50, first ticket, $150 for second offense and $225, subsequent tickets plus court fees still apply. First, enforcement of the law will be much simpler. If you have the phone in your hand while driving or in traffic, you are subject to a ticket. Enforcement and education must be linked to improve driving behavior. Second, two hands on the wheel are better than one and having your eyes on the road is a must. 18% increase in distracted driving fatalities from 2014 to 2015. 1 in 4 crashes involves distracted driving. 1 in 5 traffic fatalities involves distracted driving. Distracted driving is now the fourth most common contributing factor in fatalities behind speed, impairment and fatigue. Do hands-free laws increase enforcement? Yes. New York and Illinois, for example, have greatly increased enforcement. Can I still use my CB radio? Yes. These bills do not change radio use requirements. SF 75/HF104 Sen.Osmek/Rep.Dettmer- Cell phones; texting while driving penalties increased and improper use of wireless communications device while driving crimes provided to be non-payable offenses, criminal vehicular operation crime expanded to allow a charge of felony for causing a crash while violating the “hands-free “law, driver education and driver's manual required to cover distracted driving, and rulemaking authorized. SF221/HF 1001 Sen. Latz/Rep. Pinto modifying how license plates are impounded and reissued under the DWI law; providing criminal penalties; amending Minnesota Statutes 2018, sections 169A.37, subdivision 1; 169A.60, subdivisions 4, 5. MSD has created another educational and victim advocacy outreach program in the form of an Employee Workplace Reintegration after Loss. This innovative program is initially being directed at over 1600 Minnesota small businesses and offers them a complimentary introduction presentation as to how they can better manage the affects of loss that their employees may face. THERE ARE MANY MORE LINKS TO INFORMATION THAN ARE LISTED HERE. LOOK FOR THEM THROUGHOUT THE SPECIAL CATEGORIES ON THE WEBSITE. Using this as a guide, teens and parents will have guidance on how teenagers can operate motor vehicles safely. Animated Info onTeens and driving. highway- rail crossings and on railroad property. Traffic safety is why we are Minnesotans for Safe Driving. Most of our members have experienced firsthand what happens when the driving public doesn’t put traffic safety first. We developed this website to bring “up close and personal” the stories of how drunk driving, distracted and careless driving destroy lives; whether to the victim and their family or the family of the driver who caused the crash. You'll find recent impaired driving statistics and many drunk and drugged driving facts to prove why choosing to drive impaired in any way is so dangerous. It will help you understand the workings of the court system, what rights victims have in the courts, teen and parent issues pending legislative issues and many more informational articles, facts, programs and links to related websites. 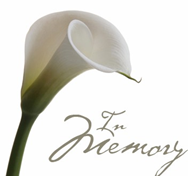 This site will also inform you about what educational resources MSD has to offer plus training they can provide in Death Notification, and Returning to Work after Bereavement. MSD has Crash Cars available for events and operates Victim Impact Panels in four different counties. The site also has information and support for those dealing with the trauma of a loved one who was involved in a serious crash. We hope that after visiting our site, you have learned more about our organization and some very important drunk driving and careless driving facts that will reinforce your commitment to drive “Safe and Sober”.